Supervise/perform restoration that involves specialized cleaning and repair of carpeting, upholstery and drapery. Clean, dry and deodorize floors, ceiling and drywall. Access all areas and surfaces that need to be cleaned, dried and deodorized. Apply Environmental Protection Agency (EPA) registered and approved disinfectant as required. Provide Office Manager with invoicing information and amounts for completed jobs. Ensure Purchase Orders are assigned in an effort to control the costs of the job and maintain profitability. Must be computer literate with proficiency in use of Microsoft Office (Word, Outlook, Excel) and other computer software. Experience in Xactware is helpful, but not mandatory. Must also have a functional understanding of handheld smart devices and an aptitude for learning new technology and software easily. 2. Supervise/perform restoration that involves specialized cleaning and repair of carpeting, upholstery and drapery. Clean, dry and deodorize floors, ceiling and drywall. Access all areas and surfaces that need to be cleaned, dried and deodorized. Apply Environmental Protection Agency (EPA) registered and approved disinfectant as required. 3. Establish and maintain a service schedule to ensure all service is delivered to meet customer requirements. 4. Follow all EPA and other applicable federal, state and local regulations for disposal of wastewater and chemicals. 5. Comply with all verbal and written safety practices including the use and maintenance of Personal Protective Equipment (PPE). Read and comprehend all applicable MSDSs for chemicals that require special handling and use of PPE. 6. Manage or perform the maintenance of all assigned vehicles and equipment to company published standards, making recommendations for new equipment as needed. Track and inventory all assigned equipment. 7. Solicit current customers for leads to develop leads for new customers. 8. Meet with homeowner and adjuster of insurance company, explain and attain all necessary documentation for access to the jobsite, write an agreed upon estimate and oversee the job to completion. Do final walk through with customer to verify that all expectations have been met. 9. Communicate with customer about scope of work, timeline of work, progress updates and planned completion dates. Explain the “Upgrade/Change Order” process to customers including the selection process, expected timeline of payment and the effects of the timeline of the project. 10. Provide Office Manager with invoicing information and amounts for completed jobs. 11. 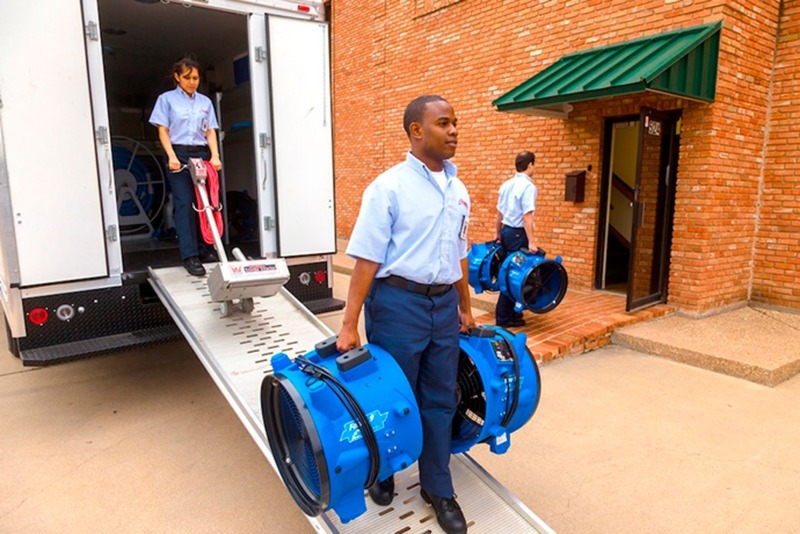 Recruit and hire any qualified, properly insured sub-contractors necessary for completing the job, oversee daily routine of sub-contractors, and verify they can support issued workload. 12. Create a complete schedule of the workflow at the onset of the job containing a projected completion date. Maintain a material/supply list. 13. Ensure Purchase Orders are assigned in an effort to control the costs of the job and maintain profitability. 14. 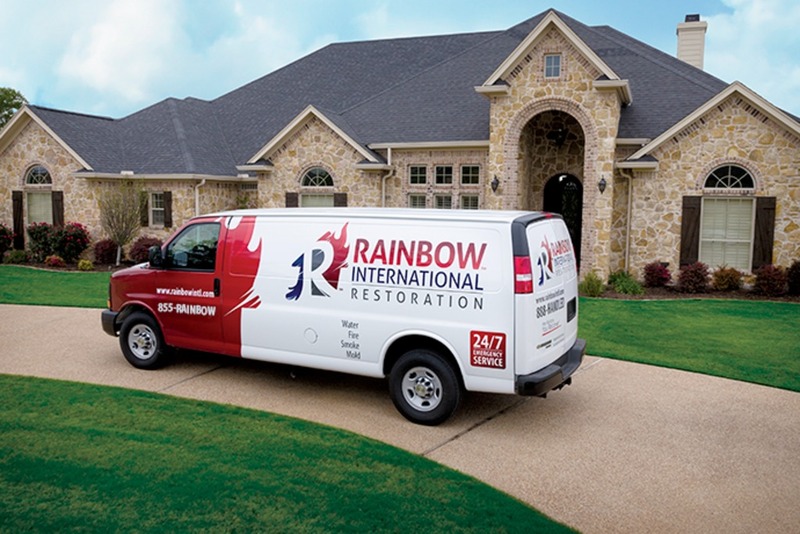 Inspect the jobsites frequently to verify the scope of work is being performed correctly, that it meets the projected timeline and that it complies with Rainbow International standards. 15. Work with Third Party Administrator programs by keeping current on requirements and technical updates for each individual program. 16. Work with management to develop a business plan, including both short- and long-term goals, to generate prospective customers to meet the projected sales goals. 17. Meet with management to review job progress and profitability, payment schedule and completion dates per company policy. 18. Perform other duties as required. These duties may include job functions that are outside the scope of normal job duties.